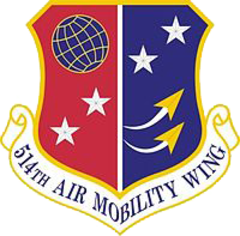 Hometown: Brick, New Jersey, U.S.
Unit: Air Force Reserve - 514th Maintenance Squadron, JB McGuire/Dix/Lakehurst, NJ. Christopher L. Hoffmann, age 28, of Brick, passed away on Saturday, June 7, 2014. Born in Englewood, NJ he was raised in Westport, CT then moved to Brick in 2005. He graduated Staples High School in Westport, CT and the Ocean County Police Academy in Seaside Heights. Christopher was a Police Officer with the Borough of Watchung. Prior to joining the Watchung Police Department, he worked in the Borough of Seaside Heights as a Class II. Special Officer. He also worked at McGuire Air Force Base. He truly loved his work. Christopher was an active member of the United States Air Force completing boot camp in Lackland, TX. He served overseas for 3 months. Christopher was a member of the Watchung Police Benevolent Association Local 193 and was a parishioner of St. Martha's Church, Pt. Pleasant. Christopher was predeceased by his paternal grandfather, Harold Hoffmann; his maternal grandparents, Nicholas and Elizabeth Angioletti, and his uncle, John Onderwater. He is survived by his parents, Richard L. and Deanna E. (Angioletti) Hoffmann; his paternal grandmother, Anne Hoffmann; two sisters, Elizabeth Warshofsky and her husband Josh and Alexis Green and her husband Edmund; his goddaughter and niece, Zoey; his nephew, Edmund V; his aunts, Lyn Hoffmann and Paula Onderwater; his cousins, Karyn Bonfiglio and her husband Jeremy and Krista Lewis; and many other cousins, together with his dogs, Kreiger and Bella. LAKEWOOD – Two classes of Special Law Enforcement Officers marked the completion of 727 hours of training at the Ocean County Police Academy during graduation ceremonies today. "These new officers will now begin work in a number of communities throughout Ocean County," said Ocean County Freeholder John P. Kelly, Director of Law and Public Safety. "On behalf of my colleagues on the Board of Freeholders, I want to recognize these men and women and congratulate them for successfully completing this very rigorous training." The graduation ceremony for SLEO II Class #28 and #29 was held at Georgian Court University, here. South Toms River Police Chief Andrew Izatt, who serves as President of the Ocean County Chiefs Association was the guest speaker. "I am very proud of the hard work and dedication of each of these new officers," said Ocean County Sheriff William L. Polhemus, who oversees the Police Academy. "I also want to thank the fine work of the instructors and the academy staff who provide these new officers with the tools and assistance they need to help keep our citizens and communities safe." WATCHUNG — The Watchung police officer struck and killed Saturday by an unlicensed driver was honored by hundreds of fellow police officers and U.S. Air Force personnel at his funeral Thursday in Point Pleasant Beach. Watchung Police Chief Joseph R . Cina said the only thing Officer Christopher Hoffmann of Brick Township ever wanted to be was a cop, but a fatal motorcycle accident took his life just five days before his 29th birthday, and after only a month on the Watchung force. Lined in formation outside St. Martha's Roman Catholic Church in Point Pleasant were more than 50 active duty U.S. Air Force personnel, as well as over 150 police officers from across Middlesex and Ocean counties. Inside the sanctuary were almost 200 more family, friends, police and military for the funeral mass. Officer Brian Woodruff, Hoffmann's classmate at the Ocean County Police Academy, said that Hoffmann became their class leader — a position that required bravery and honor. It was a role that Hoffmann was made for, he said. "His dedication to law enforcement in this country was only rivaled by his commitment to family and friends," Woodruff said. "Rest easy and watch over us, Chris. You will never be forgotten." Hoffmann's sister Alexis Hoffmann Green said there were no words to express the untimely death of her brother. "He achieved his lifetime goal as a police officer," she said, thanking everyone who showed up in her brother's honor. "It means the world to us to see how many lives Chris touched." After a procession with the hearse, limousines, and nearly 100 police patrol cars, Hoffmann was laid to rest at the Greenwood Cemetery in Brielle. His gravesite was lined with a color guard of police from various jurisdictions. After the flag folding ceremony and presentation, an Air Force firing squad rang off a 21-gun military salute to Hoffmann, and a bugler from the Ocean County Sheriff's Office played "Taps."